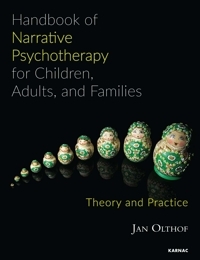 Jan Olthof has worked as a psychotherapist since 1984. In addition to his own private practice, he also provides diverse other services. He teaches, trains and supervises young colleagues newly active in the field of systems therapy, and is registered in this capacity with the Dutch Society of Relationship and Family Therapy (NVGR). He has also been attached to the family psychiatry department of Yulius institution for mental health care in Rotterdam as a systems consultant since 1985. Jan Olthof founded the School for Systemic Training at Bunde in the Netherlands.